"We've found a new form of moonshine, which in math refers to an idea so farfetched as to sound like lunacy," says Ken Ono, a number theorist at Emory University. "And we've used this moonshine to show the mathematical usefulness of the O'Nan pariah group in a way that moves it from theory to reality. It turns out that the O'Nan group knows deep information about elliptic curves." Nature Communications published the representation theory for the O'Nan group developed by Ono, John Duncan (also a number theorist at Emory) and Michael Mertens (a former post-doctoral fellow at Emory who is now at the University of Cologne). "We've shown that the O'Nan group, a very large pariah group, actually organizes elliptic curves in a beautiful and systematic way," Duncan says. "And not only does it organize them, it allows us to see some of their deepest properties. It sees infinitely many curves, which allows us to then use our moonshine to make predictions about their general behavior. That's important, because these objects underlie some of the hardest questions at the very horizon of number theory." Elliptic curves may sound esoteric, but they are part of our day-to-day lives. They are used in cryptography - the creation of codes that are difficult to break. An elliptic curve is not an ellipse, rather it is a complex torus, or doughnut shape. "You can think of it as a doughnut together with specific, delicate configurations of rational points that are very carefully placed," Duncan says. "So, in the simplest of terms, it's like a doughnut that you eat, that may have sprinkles on it. 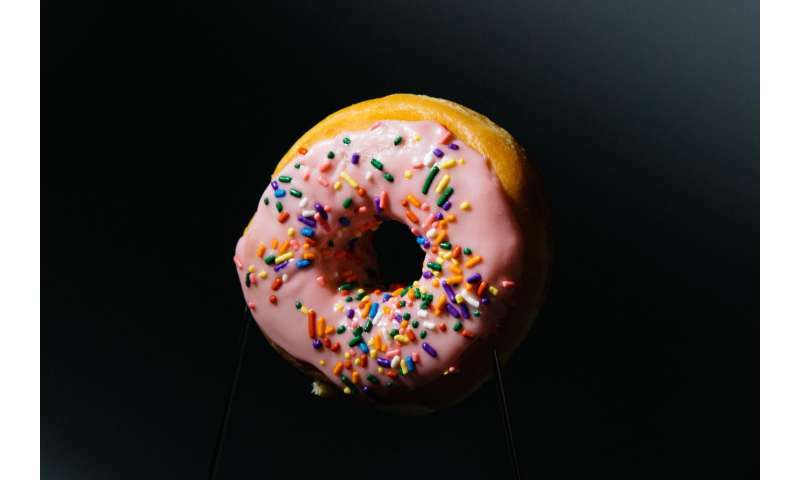 The whole game in the math of elliptic curves is determining whether the doughnut has sprinkles and, if so, where exactly the sprinkles are placed." 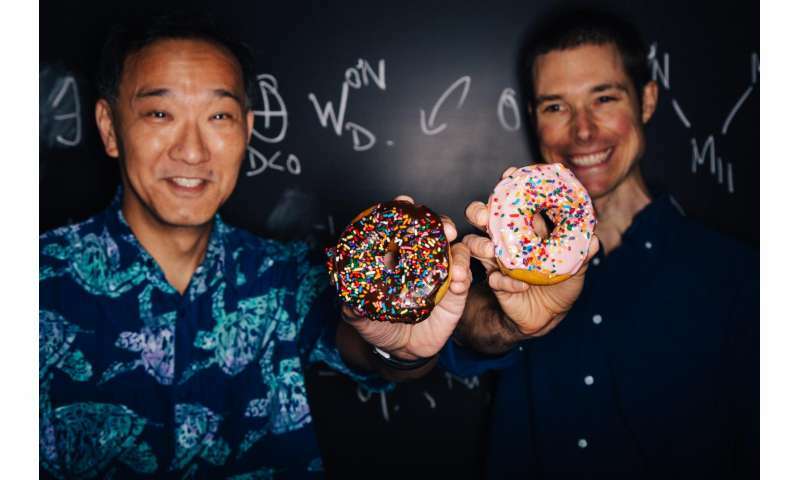 "Imagine you are holding a doughnut in the dark," Ono says. "You wouldn't even be able to decide whether it has any sprinkles. But the information in our O'Nan moonshine allows us to 'see' our mathematical doughnuts clearly by giving us a wealth of information about the points on elliptic curves." The findings are especially surprising since none of the pariahs, as six of math's sporadic simple groups are known, had previously appeared in moonshine theory, or anywhere else in science. Math's original moonshine theory dates to a 1979 paper called "Monstrous Moonshine" by John Conway and Simon Norton. The paper described a surprising connection between a massive algebraic object known as the monster group and the j-function, a key object in number theory. In 2015, a group of mathematicians - including Duncan and Ono - presented proof of the Umbral Moonshine Conjecture, which revealed 23 other moonshines, or mysterious connections between the dimensions of symmetry groups and coefficients of special functions. The classification of the building blocks of groups is gathered in the ATLAS of Finite Groups, published in 1985. "The ATLAS is like math's version of the periodic table of the elements, but for symmetry instead of atoms," Duncan explains. Both the ATLAS and the periodic table contain quirky characters that may - or may not - exist in nature. Four super heavy elements with atomic numbers above 100, for example, were discovered in 2016 and added to the periodic table. "People have to work hard to produce these elements in particle accelerators and they vanish immediately after they are constructed," Ono says. "So you have to wonder if they really are a part of our everyday chemistry." "Our work proves, for the first time, that a pariah is real," Ono says. "We found the O'Nan group living in nature. Our theorem shows that it's connected to elliptic curves, and whenever you find a correspondence between two objects that are seemingly not related, it opens the door to learning more about those objects."